Wanted: volunteer trail maintainers. Must be hard working with a sense of humor. Responsible for building trail and maintenance and repair of current trails, bridges, shelters, and more. 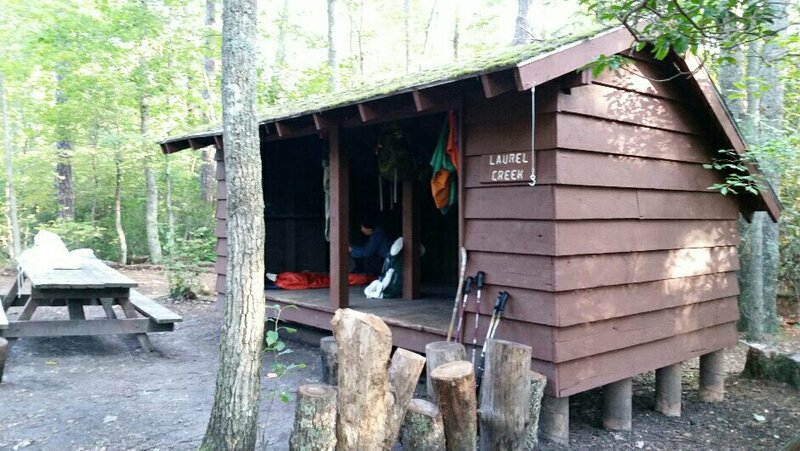 Anyone who backpacks on the Appalachian Trail owes huge gratitude to the more than 6000 volunteers who maintain the trail each year. 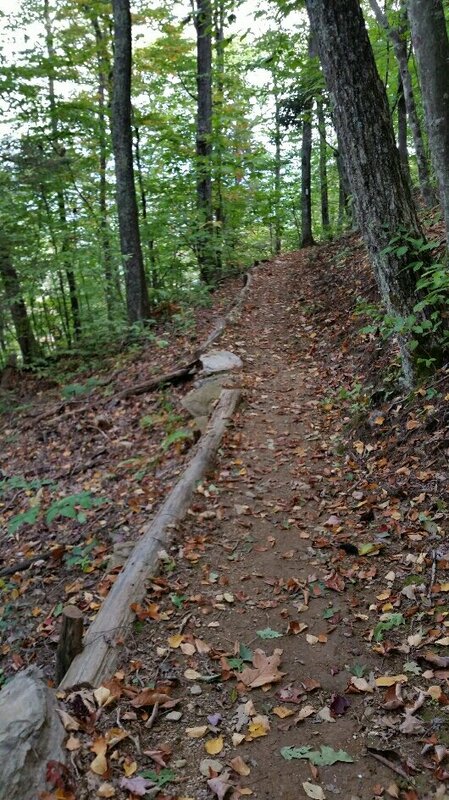 Although the AT is part of the National Park System, it relies on volunteers and on regional maintenance clubs to keep the trail open. 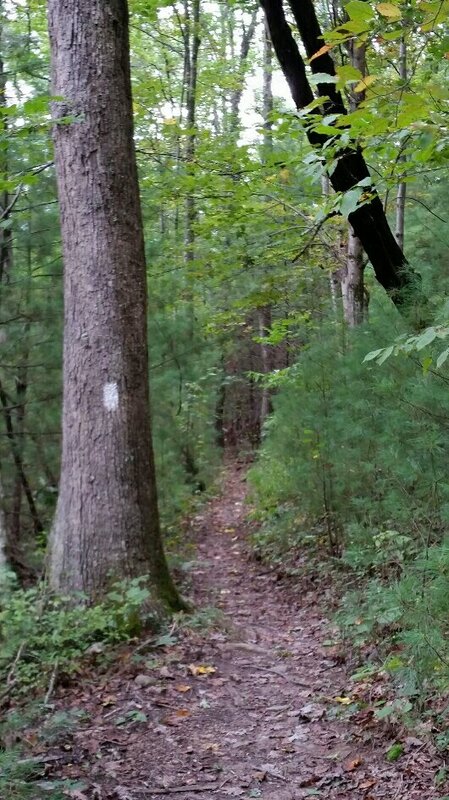 Marking the trail with “blazes” on trees or rocks, repairing eroded parts of the trail, and removing trees which fall and block the trail. Adding edges to slanted sections of trails near drop offs. 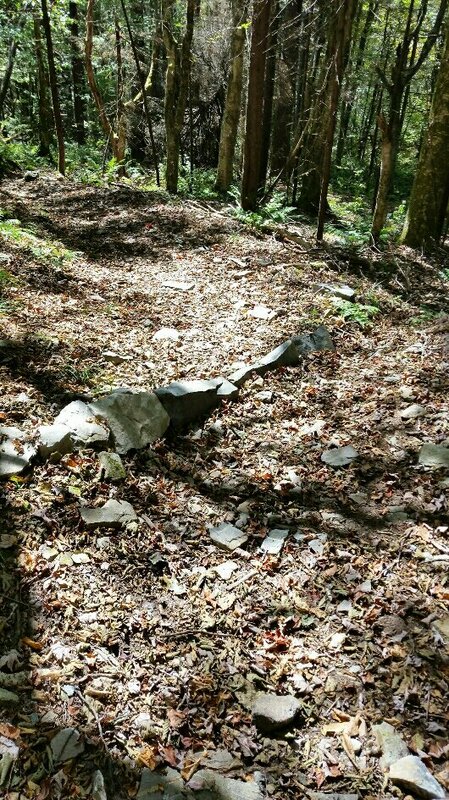 Slowing down erosion on steep sections by building steps from rocks or logs (see photos in previous post HERE) and by building water diversion lines (stones set to guide water off the trail). Build bridges (fancy like this one…or a simple few logs to cross). 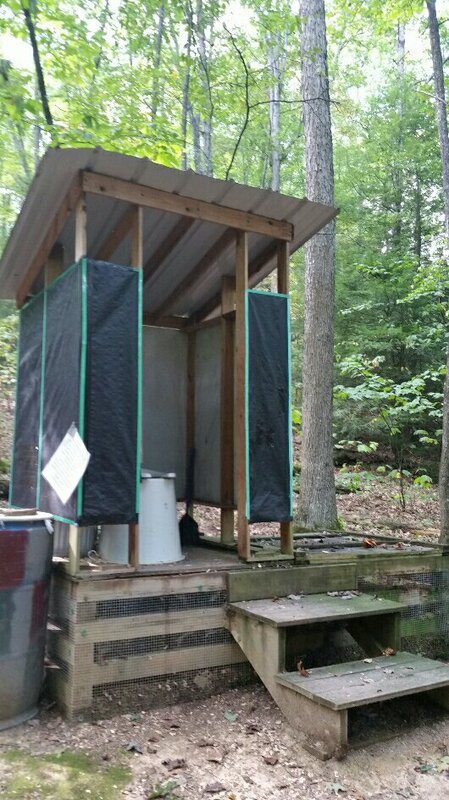 Build privies (outhouses), maintain them (cleaning out trash and wipes throw in them…yuck! ), and moving them as needed. 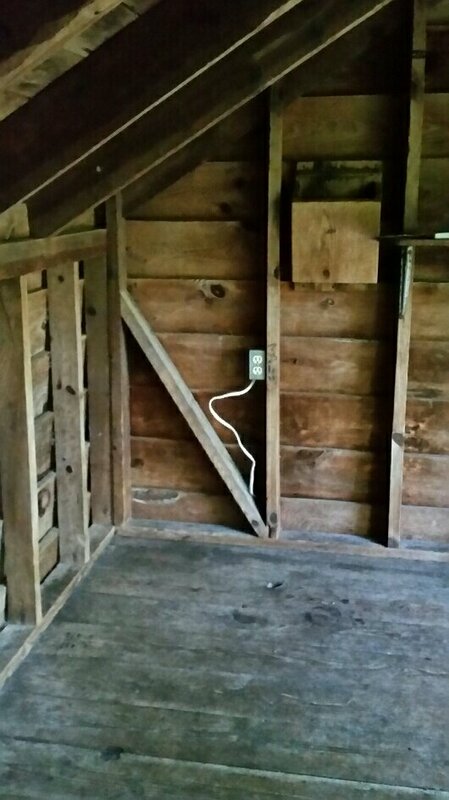 An electric box….attached to nothing! 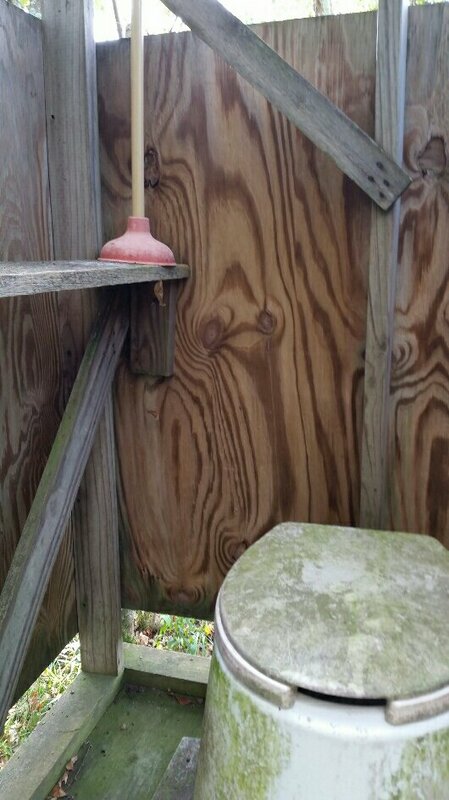 A plunger for an outhouse! 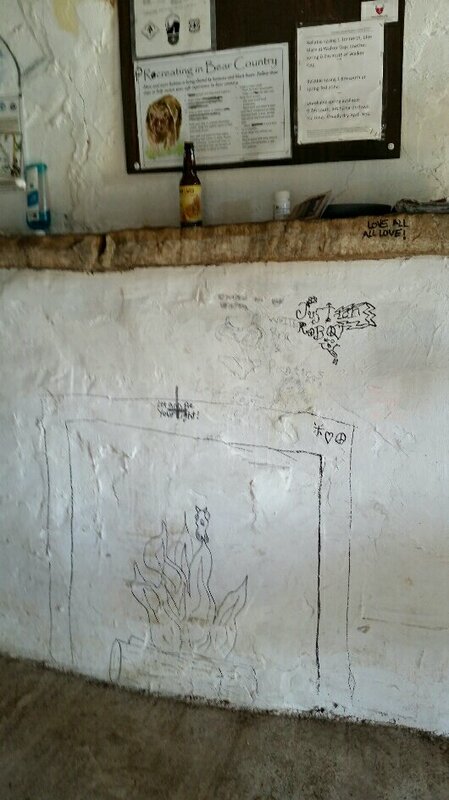 And a “fireplace” at a shelter with no chimney! 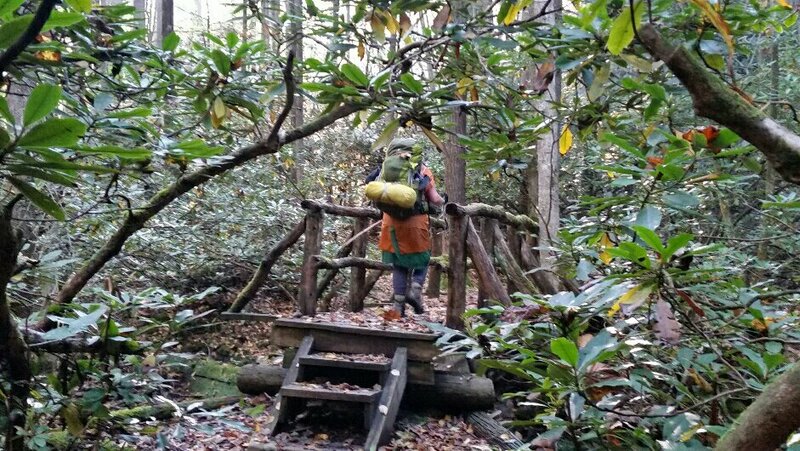 THANKS to all the men and women who keep the trail clear so daughter and I can enjoy these adventures….